We will provide you with a free quotation, once you have chosen a material, sink and provide dimension and layout on the quote form. We can arrange our specialized to your place with free onsite quotation only by appointment. We will provide you with a free quotation, once you Once you accept our quotation, you are most welcome to our showroom to see our wide range of granite or engineered stones. Browse on our website for your preferred colours. Once you made decision, you can place your order. The office will contact you within 24 hours of receiving your order to arrange the templating and site measure. According to our policy, we would require 70% deposit before template, the rest 30% balance payment should be made before the installation day. 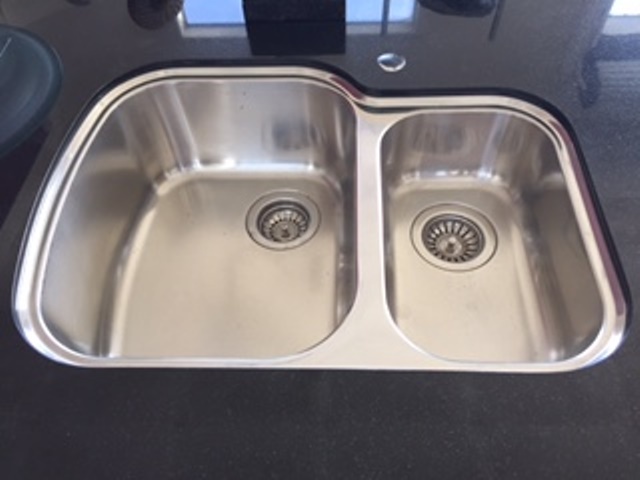 Before our template representative visit your site to measure up and template the top, you need to confirm that your cabinets are fully complete, flat and level, your sink and hob should be on site (normally, the representative will bring your sink back to the workshop). Please also notify our representative about the position of tap hole and airswitch hole. If you have existing benchtop, you need remove the old bench before we came. Sink with a lip around it that sits on top of the bench. Sink sits on the rebated hole (20mm deep) in the bench, and polished all round the inner edge. 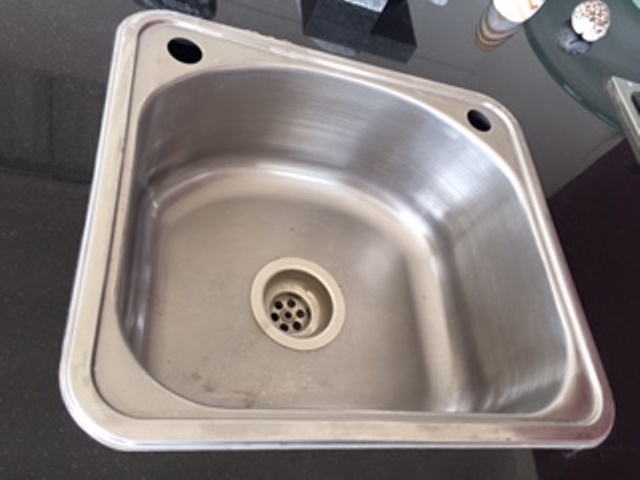 Sink result in 30mm (based on the stone thickness) drop from the top of the bench, and polished all round the inner edge. Sink embedded in the bench to form a perfectly flat surface and a seamless edge. Smooth, shiny and reflective which will highlight the character of your stone. Your stone appears darker and colours seem richer. Smooth surface without reflection. From a matte like appearance to a low sheen. The finish remains flatter than a full gloss polish. The leather finish begins with a honed surface; with an aded leather-like texture to a honed surface. It has a soft sheen but not reflective as a polished finish. It’s most commonly used with dark marbles. Whats Included In The Warranty? 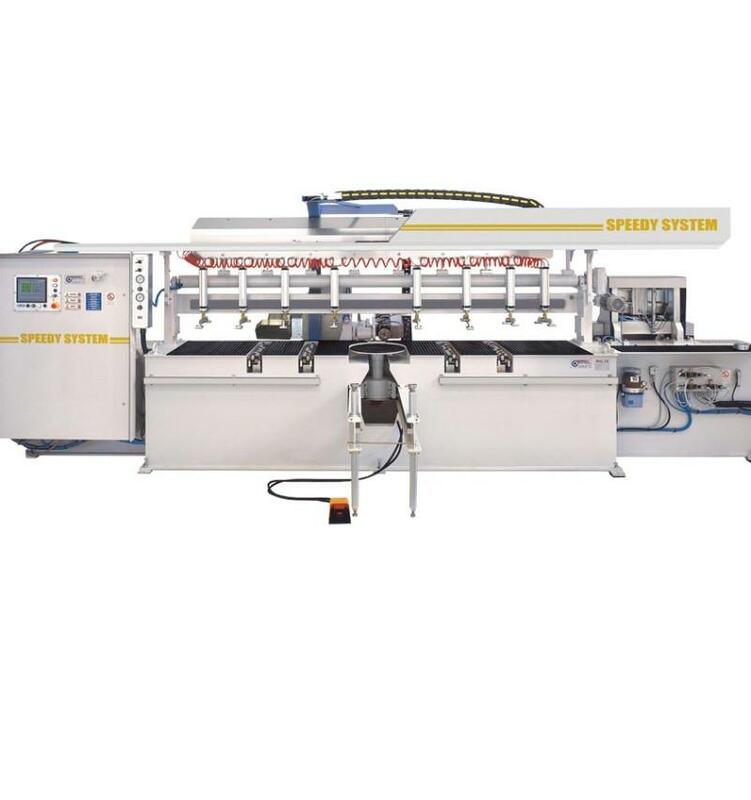 Any defect in, or damage to the bench top arising out of any work done on the slab by a Ruyi Installer and Ruyi Supplier (included any joint and glue problems). What’s NOT included in the Warranty? The warranty does not include any defect in, or damage to the bench top, arising out of any work done on the slab by the customer. The warranty will not apply to damage caused by placing hot pots, pans, electric frying pans or oven trays directly from the hot plate or oven onto the slab. The warranty will not apply to damage to the slab caused by try-chlorethane, methylene chloride, paint remover or stripper, cleaning agents having high alkaline, PH level and solvents. Ruyi Granite believe in hiring experienced and expert team with a clear goal to deliver our best to our customers. You matter to us. We have an enthusiastic team that will give you that pleasurable experience with any projects, big or small. Great teamwork with specialist experience, trained to ensure your new investment on your stunning kitchens, bathrooms or piece of furniture is at it’s best. 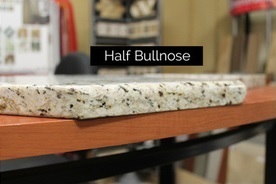 Is Your Granite Real & Why is it Cheap? 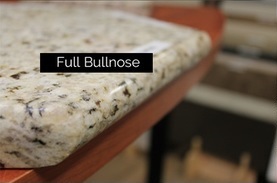 All the granite products sold by us are genuine granite, produced from the natural rock and are first quality. 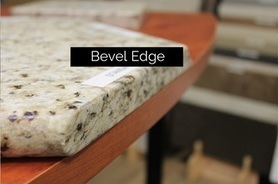 We are able to sell at such low prices because we import directly in slab form from a host of international suppliers, in addition our prices reflect the fact that you are cutting out the “middle man” as you are buying from the very people that fabricate the slabs into your bespoke worktops. How Do I Get A Quotation? FREE ONSITE QUOTATION. 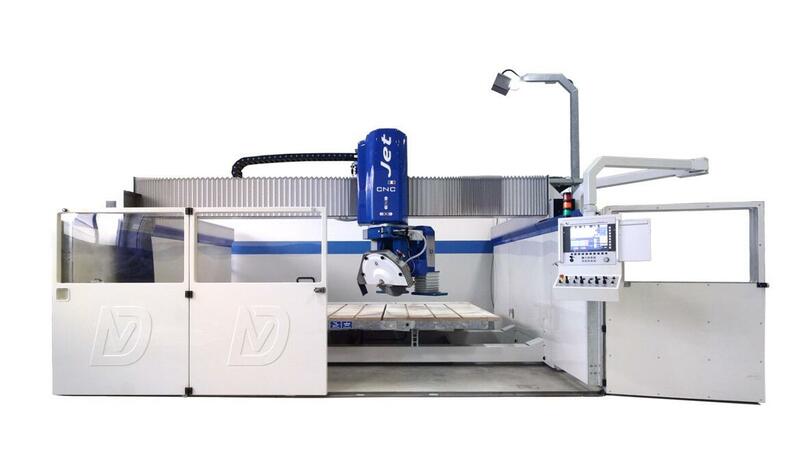 Send us a quote here OR Fax a dimensioned sketch to us OR email to granite@ruyi.co.nz and within 24 hours our estimating and pricing staff will return your fax or email you with your quotation. Do You Need The Exact Measurement? hese are not the final measurements that will be used so you don’t have to worry about being exact at this time.99% of customers choose to make use of our templating and fitting service and so exact sizes will be taken by our trained stonemasons/ granite fitters when they visit your home. Please feel free to call us if you are unsure of your sizes or need any help. 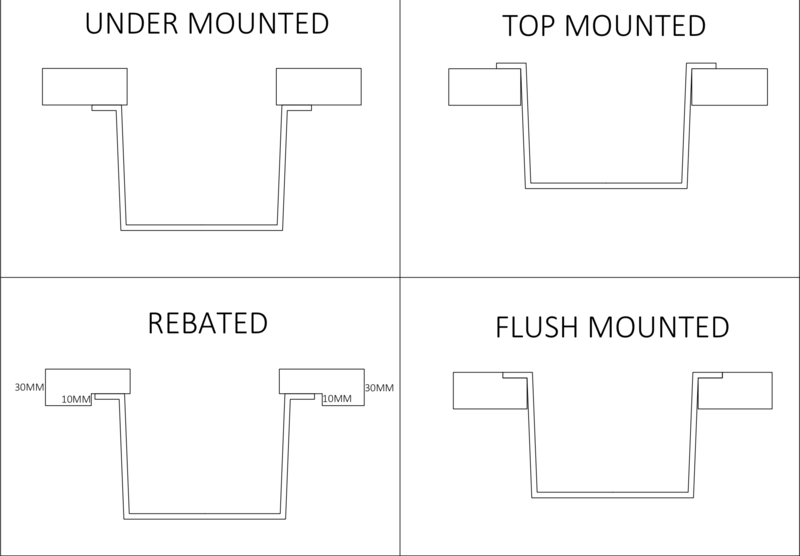 Can I Just Replace My Existing Worktops? Yes, but you will need to remove the existing worktops before we arrive to install. Please also note that the existing worktops may be thicker than the granite. 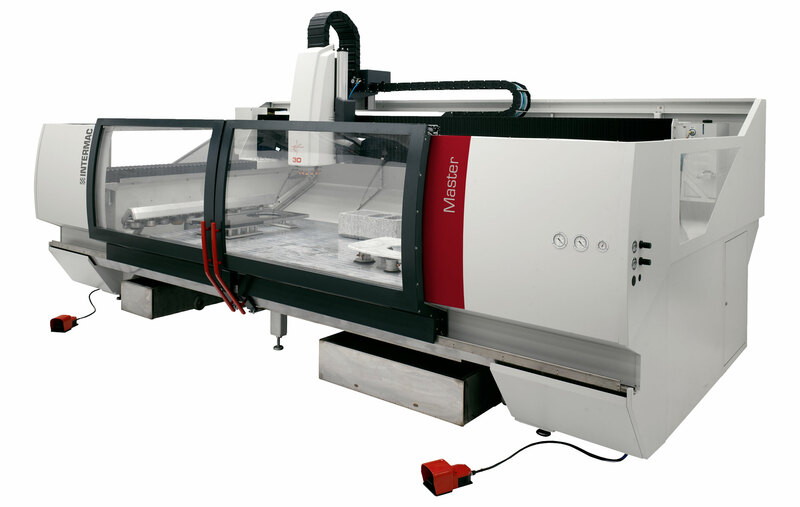 We can template for new benchtop & finish in 5-7 working days. We can remove old benchtop & replace the old one. How Quickly Can You Do My Job? Templates can be taken in 3 days after you place your order. Our normal lead time from template to fitting stage is 14 days (condition applies). Older dwelling with existing residents - 5 working days. New dwelling 5-10 working days. When Fitted, Can I Still See The Joints? Will You Fit The Sink & Hob? 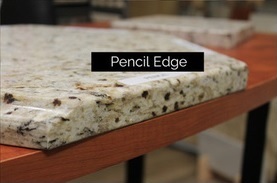 If the sink is either an under mounted or top mounted type we will fit it to your granite. This is included in your price for templating and fitting. 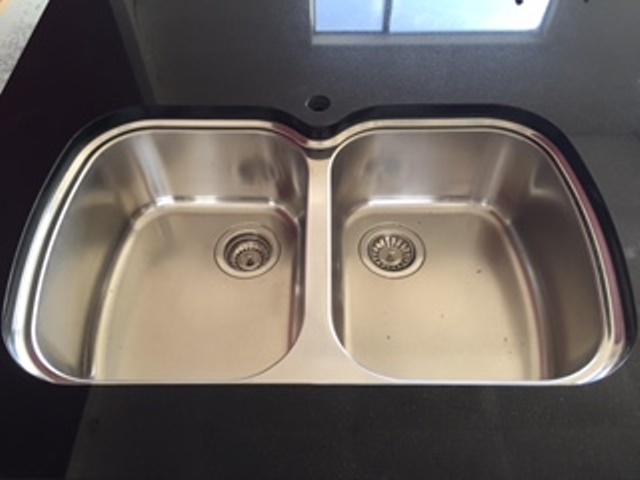 We are not able to undertake any plumbing for the sink or gas related work regarding the hob as this is a specialist area and should only be attempted by a trained certified professional. Will I Need To Be Present When You Install? Yes if you wish to, our team however work to a satisfactory completion.